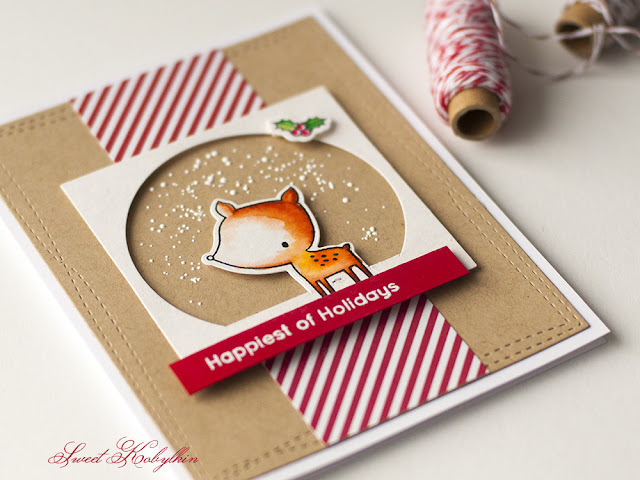 Today I am sharing Christmas card made with Forest Friends stamp set by My Favorite Things. I myself was surprised to make a Winter card, but sometimes imagination can go this direction in the begining of Summer. This card was inspired by MFT Sketch Challenge #284 at My Favorite Things Challenge & Inspiration blog. Сегодня я показываю Новогоднюю открытку с набором штампов Forest Friends от компании My Favorite Things. Сама удивилась, почему вдруг получилась зимняя открытка, но пути вдохновения неисповедимы. Вдохновением для этой работы послужил скетч MFT Sketch Challenge #284 в чб My Favorite Things Challenge & Inspiration. Спасибо, что заглянули. Поздравляю россиян с праздником и желаю всем прекрасного отдыха! 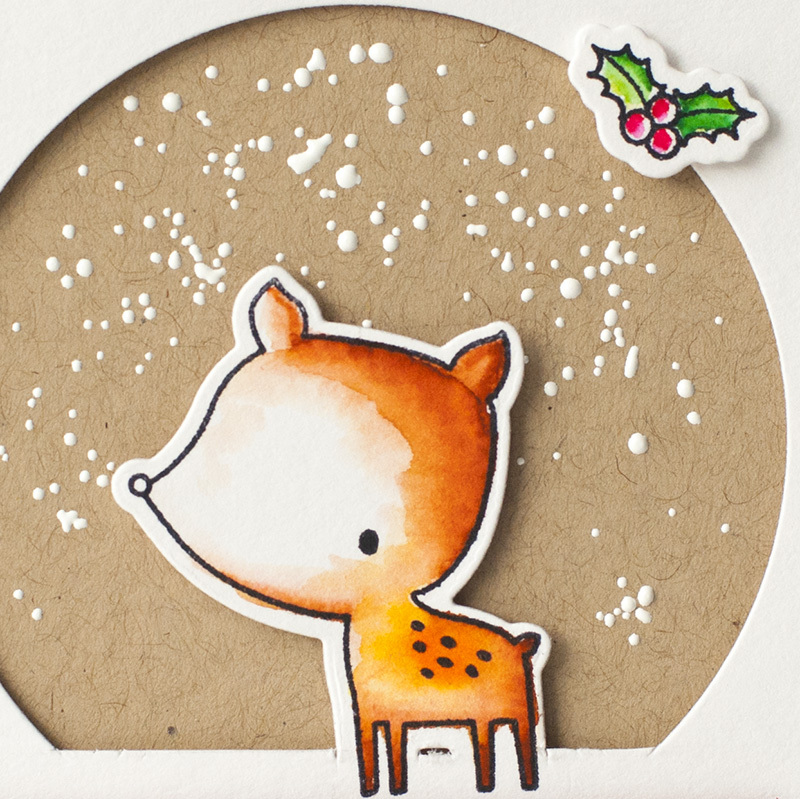 Beautiful Christmas card with a cute image, thanks for sharing at Sparkles this month. 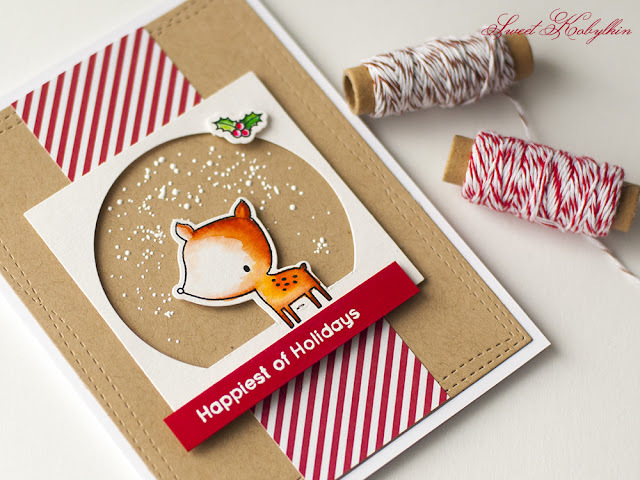 Gorgeous card, I love the way you've coloured the deer and the red and white looks so crisp against the kraft. 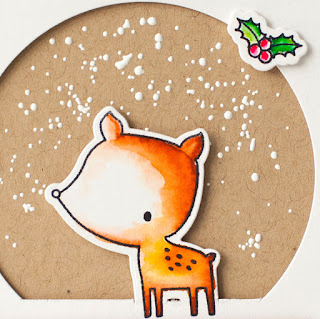 Such a sweet little deer and a great interpretation of the sketch. Great card - thanks for joining us at the Alphabet Challenge and we hope to see you again for the next challenge.